R.A. Lee Electric is a family-owned electrical contracting company that specializes in residential, commercial, and industrial electrical projects of any size. Our commitment to customer satisfaction is our highest priority; we strive to build and maintain lifelong business relationships by providing customers with the highest quality workmanship. Our team consists of highly trained Master, Journeyman, and Apprentice electricians. All of our electrical services, from installations to wiring to repairs, are backed by our guarantee! ​For a quote on your next project, fill out the form on the right or give us a call at (248) 332-8100. R.A. Lee Electric is committed to building lifelong relationships based on uncompromised service and integrity by dedicated professionals. At R.A.LEE, we take great pride in our work and will go to great lengths to protect our great reputation of high quality service. Our employees, from our master, journeyman and apprentice electricians out in the field, to our administrators in the office, are dedicated to serving you to your highest expectations. Each employee goes through extensive OSHA safety training and along with our ongoing training, all mobile work units are outfitted with proper safety equipment. We are constantly striving to improve ourselves. CEO & Founder Richard Lee opened doors back in 1995 to create an electrical service company that was based on a family experience. 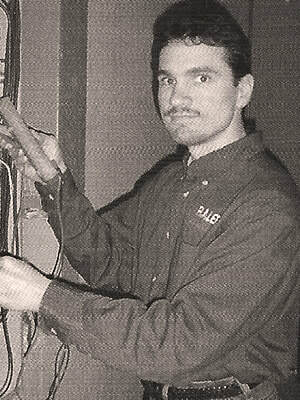 Richard felt that most electrical contractors lacked one thing; good customer service. Richard changed that when he started R.A.Lee Electric! Our staff of highly trained employees are very well mannered and treat you like you are family, because at R.A.Lee, you ARE family. As we like to say - we started a family business yesterday so you can become part of our family today!